Built as a stern-trawler under yard No 1219 by La Mancha, Dieppe, France for the French Government. 01 November 1969 keel laid down. 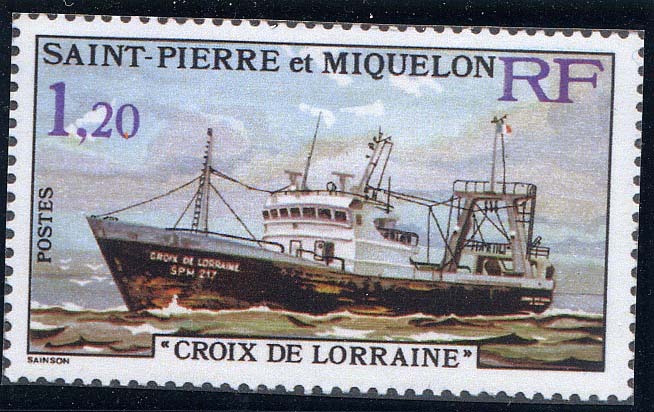 07 March 1970 launched under the name CROX DE LORRAINE. Tonnage 423 gross, 148 net, 315 dwt, dim. 46.54 x 9.35 x 4.8m, length bpp. 40.54m. Powered by a 12-cyl diesel engine, 1.600 bhp., speed 14 knots. 1987 Reported as owned by Societe Saint Pierraise de Peche, Saint Pierre. 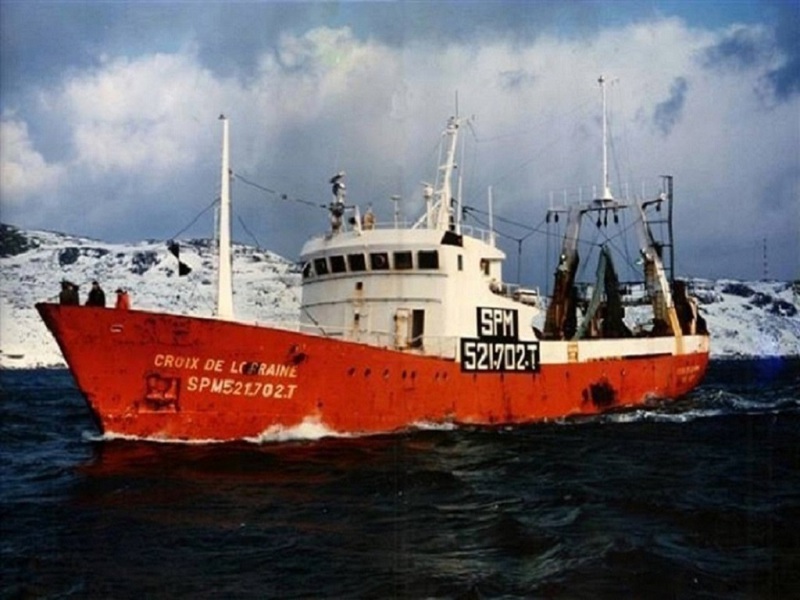 April 1988 she was boarded by Canadian Fisheries officials, after the crew tried to fish in disputed Canadian/St Pierre et Miquelon fishing waters. The CROIX DE LORRAINE sailed from St Pierre with on board four French officials and 17 men crew, when fishing in the dispute waters they were arrested by Canadian Fisheries officers and put in jail for 48 hours. Later that year the two sides in the dispute met and were trying to resolve the dispute. 1990 Was she owned by International Maine & Commercial Operators in Bordeaux, France. 1994 Renamed in THUNNUS, owned by Thunnus Fishing Maritime Co., Belize. 1997 Renamed in JACQUELINE, owned by Quark Fishing, Las Palmas, Canary Islands. Under this name she visited three times Auckland. 2001 Renamed in JACQUELINE F.I. and registered in the Falkland Islands, managed by Freiremar SA, Las Palmas. Used in the toothfish fishing as a longliner. 2019 Same name and owners, IMO No 7015224. Her last position given as Vigo, Spain on 10-10-2017. Photos on the net as JACQULINE FI shows her after rebuilt in a toothfish fishing vessel. Source: CD-ROM ships on stamps. http://www.miramarshipindex.org.nz and some other web-sites. St Pierre et Miquelon 1976 1F20 sg550, scott? Last edited by aukepalmhof on Tue Jan 22, 2019 8:41 pm, edited 2 times in total. Depth:6.35m. Draft:4.80m. 12 cyl. Crepelle diesel:1600 hp. (1177 kW.) 1 hold, 6 hatches, 2 derricks SWL:0.5 tons.